Eat Natural Dark Chocolate with Cranberries & Macadamias is rated 4.6 out of 5 by 16. Rated 4 out of 5 by Lydsc from Tastes as good as it looks! This bar is fantasic, hits the spot around 3pm when you are craving a sweet treat. The dark chocolate and cranberry combo is a match made in heaven and I couldn't recommend more! Rated 5 out of 5 by LucyElizabeth from One of my favourite Eat Natural Bars This has to be one of my favourite flavours of eat natural bars. I adore the mixture of dark chocolate, coconut, fruit and nuts. A bar of wholesome goodness with just a touch of indulgence. 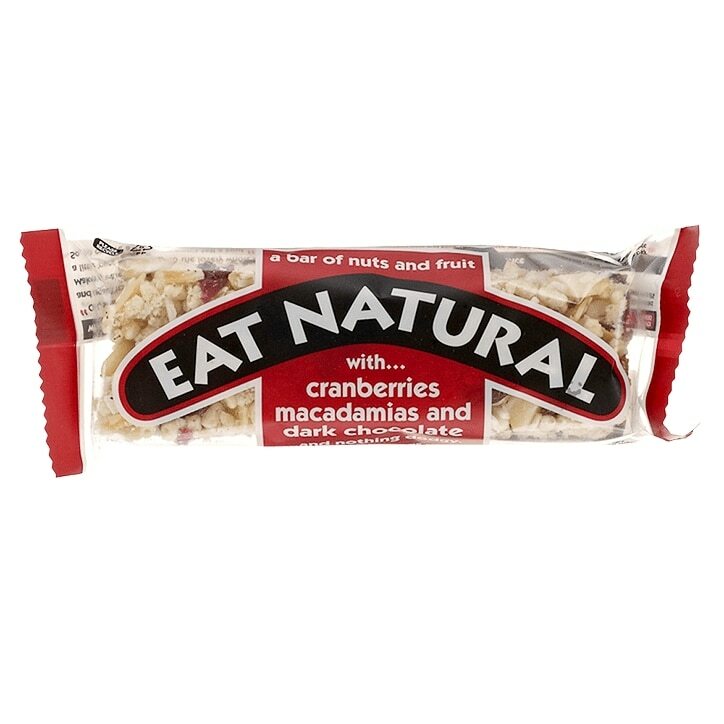 I have loved every eat natural bar I have tried but this one is special.